Detroit, Denver & Phoenix Only Cities To Post Positive Annual Real Estate Growth in Jan! Home prices fell to new lows in January, but the rate of decline appears to be easing, offering the latest sign that an elusive bottom in prices could be in sight. Prices dropped by 0.8% for the three-month period ending in January, according to the Standard & Poor's/Case-Shiller index that tracks 20 metro areas. Click HERE to read the full article in The Wall Street Journal! Honor & Folly's living area offers a fully stocked kitchen for guests to use. A wave of nonprofits and food-focused locals is revitalizing once-abandoned neighborhoods with urban farms, public art projects, and locavore restaurants. Get a taste of the roaring twenties at the venerable Book Cadillac Hotel (from $169), a Westin property that debuted in 1924 and reopened in 2008 after nearly twenty years of abandonment. With 453 rooms and suites, you’ll find more space here than at other chains, and its Michael Symon-helmed restaurant Roast hosts one of the city’s better happy hours, where seasonal dishes like veal sweetbreads with apples and celery are deeply discounted. Feel at home in one of Honor & Folly’s two bedrooms (from $165) on the second floor of a carefully rehabilitated two-story building with exposed brick walls and salvaged colored-glass windows. Run by travel blogger Meghan McEwen of DesignTripper, the B&B is decorated with creative accents from vintage suitcases to needlepoint pillows (all made in Detroit or by nearby Midwestern artisans) and nearly everything can be purchased. Be sure to borrow the house vintage bikes to cruise around the up-and-coming neighborhood of Corktown. Sleep in Victorian style at The Inn on Ferry Street (from $139), comprised of 40 rooms spread across six grand homes and carriage houses from the late nineteenth century. You’ll find vintage details like four-poster beds and carved wooden staircases throughout; request room 2203 in the Roehm House to enjoy the building's original cast-iron tub. Click HERE to read the full article in New York Magazine! Some 3,000 people in masks, feathers and beads turned out Sunday for a third annual light-hearted parade to rid Detroit of that devil and his cruel intentions. People who thought force might be necessary carried pitchforks. Shari Lombardo of Grosse Pointe dressed her dog in a tutu. 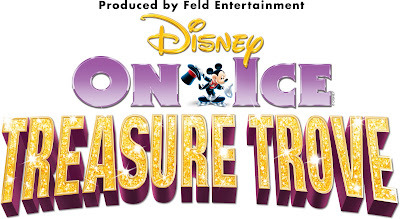 "I read on the (event) website that anything goes; that's obviously true," Lombardo told The Detroit News (http://bit.ly/GPAfoH). "Anything that's new and different is good for the city." The tale goes that a red dwarf cast a spell on Detroit 300 years ago after being struck with a cane by one of the city's founders, Antoine Cadillac. A man dressed as the feared dwarf taunted spectators by declaring, "I own this town." "Do you think this silly parade is going to get rid of me?" he said before being lowered to a stage from a crane. Detroit lately has been taking its lumps. City and state officials are trying to strike a deal to manage Detroit's poor finances. Mayor Dave Bing is recovering from surgery on a perforated intestine. He was hospitalized Thursday — just three days before the parade. Organizer Peter Van Dyke said plans already are in the works for future events. "We plan to keep this going for a very long time," he said. Buddy’s Pizza solidified its shape as Detroit’s original square pizza 66 years ago. But the family-owned pizzeria, with nine locations across the metropolitan Detroit area, has also made a name for itself in the business of giving back. For the past 36 years Buddy’s Pizza has paired up with the Capuchin Soup Kitchen to help feed hungry people and support the agency’s other programs. On Monday, April 16, 2012, all Buddy’s locations will again host its annual Slice for Life charity event. Owner Robert Jacobs noted that the partnership between Buddy’s Pizza and the Capuchin Soup Kitchen was driven entirely by Buddy’s employees. “It began as an effort to shine a spotlight on Capuchin Soup Kitchen and to assist those in need throughout the metro Detroit area,” said Jacobs. “Over the years Buddy’s Pizza has hosted its Slice for Life benefit, the Capuchin Soup Kitchen has expanded its services to the community." Since its start, the Slice for Life event has helped raise more than $2.5 million dollars to support the Capuchin Soup Kitchen. The agency tends to people’s basic needs—especially the need for food—but all its programs strive to stimulate minds, nourish spirits and address root causes of social injustice. Included in those programs are two sites that serve daily hot meals, a bakery where men learn a trade after leaving prison or a treatment program, a shower facility for people who lack opportunity to bathe elsewhere, a food pantry, a clothing center, a children’s tutoring and art therapy program, substance abuse treatment, and Earthworks (an organic urban farm). This year’s goal is $100,000. “The annual Buddy’s Slice for Life day is eagerly anticipated by Capuchin Soup Kitchen staff and volunteers, and for many is their favorite fundraiser of the year,” said Br. Jerry Smith, executive director of the Capuchin Soup Kitchen. “The financial benefits are obvious. Every year the event raises many thousands of dollars for the Soup Kitchen’s general fund, which enables us in turn to feed thousands of people and provide them an array of other services. From 11 a.m. to 10 p.m. on April 16, pizza fans have a chance to support all of those initiatives. Slice for Life ticket holders may choose to dine in to enjoy all-you-can-eat two-topping pizzas and salad or carry out a 4-square two-topping pizza or a medium sized Antipasto, Greek or house salad. Buddy’s Pizza has locations in Detroit, Auburn Hills, Dearborn, Livonia, Warren, Farmington Hills, Grosse Pointe, and carry-out only locations in Bloomfield Hills and Royal Oak. Maps and locations can be found at www.buddyspizza.com. 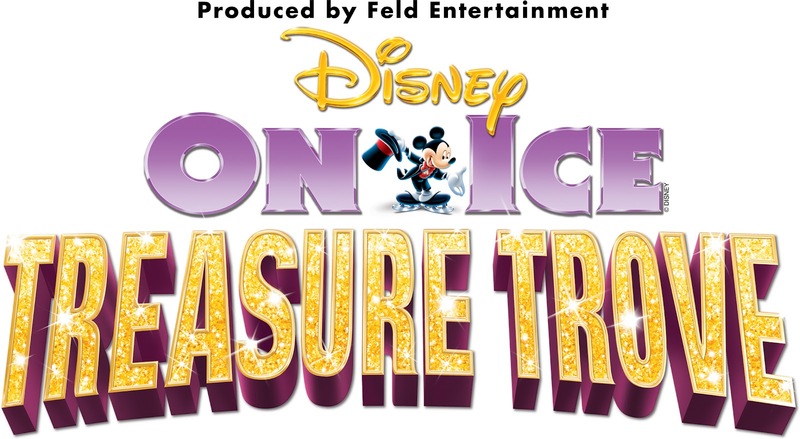 Tickets, $15 for adults and $6 for children, may be purchased in advance by calling (313) 579-2100 ext. 170 or buy them at the door of any Buddy’s Pizza location on April 16. With every adult ticket purchased, patrons will receive a $3 off coupon for an 8 square pizza. All participants may also register to win one 8-square Buddy’s Pizza every month for one year. Detroit's 1st Annual Bike Show & Swap Meet This Sat, March 24th! Detroit Bike City is Detroit’s first annual bicycle show and swap meet. Offering 100+ vendors from all over the Midwest the opportunity to show, sell and swap bicycles, parts and everything bikes. Bringing together the whole community with all forms of bicycles from road and racing to mountain and BMX, Detroit Bike City has something the enthusiast or casual rider can enjoy, plus a full day of bicycle activities and demos for the whole family. 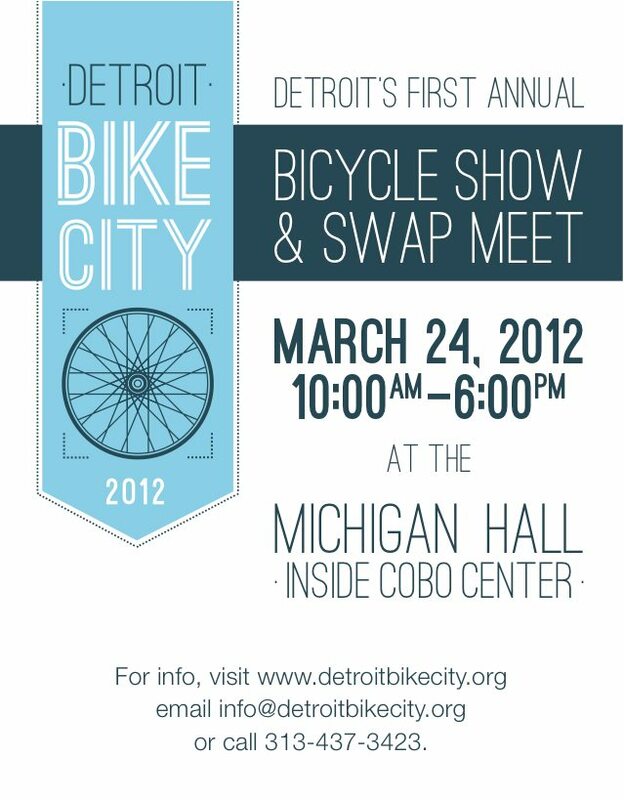 A real chance to get some great deals, be sure to come out to Detroit Bike City to buy, sell, swap and browse. Admission is $8 and is free for kids under 12 Individuals are welcome to bring in small items for trade i.e. a hub or pedals (anything other than complete bikes, frames/sets, or wheels) at no additional cost to admission. Individuals wishing to sell and/or swap complete bikes, frame sets, or wheels please refer to the vendor information packet. Artist Jennifer Quigley recently covered the facade of a building on Michigan Avenue in Detroit with a collage comprised of Rolling Stone magazine covers. "I've had a Rolling Stone subscription most of my life," says Quigley. "I first began collaging with Rolling Stone thanks to my disdain for the horrible wood paneling that was in my rec room in high school. I covered every inch of that torrential wood paneling with three years' worth of my Rolling Stone subscription collection." "The same thing happened with this building, which is on Michigan Avenue, two doors down from the old Tigers Stadium," Quigley tells Rolling Stone. "It was bought by a friend of mine who is waiting on his loan. He got it right before the economy tanked and there's a lot of small businesses in Detroit that cannot get their loans for renovations." Click HERE to read more (and see photos) of Jennifer's project in Rolling Stone! Click HERE to read the rest of this article on Atlantic Cities! Here at Detroit4Detroit, we know it’s more than Ford, General Motors and Chrysler that drive the Motor City. It’s the citizens and the passion they bring to the city they love. This is a story of three Detroiters. They have never met, but they are now all connected through their Detroit4Detroit projects to support the Detroit Area Pre-College Engineering Program (DAPCEP) and their commitment to education. One grew up and lives within 8 mile. One is a local from the 'burbs. And, the third is a Detroit "expat" currently living in Washington D.C. They’ve each decided to use their connection to the city in a powerful way. Krystal L. grew up within Detroit’s city limits and attended its schools. Detroit shaped her and made her who she is. When it came time, she went off to Central Michigan University (CMU) to study business and then moved to Atlanta for a while. She even journeyed to South Korea as an English teacher. But now, she’s back in her hometown and has another lesson plan on her agenda. "Detroit is a city built around technology, like robotics, and it’s important to have students be cultivated to go into those types of programs. Some of the best jobs are in those fields," Krystal, 30, says. 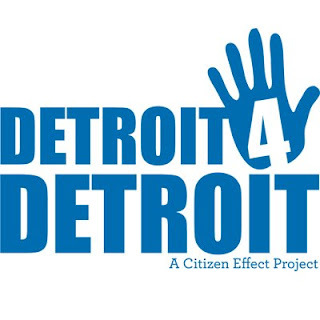 She recently joined the Detroit4Detroit movement as a Citizen Philanthropist. It is her way to jump right back into the city and see an immediate impact where it counts. She is leading a DAPCEP project that will help Detroit’s young techies become the next generation of engineers. "Especially in urban schools, for kids to believe that they can participate in (the sciences) and to believe they can work on those fields, is great," she says. Click HERE to read the full article on ModelD! Click HERE to check out Noah's Photography! There's a New Kid On The Block: Kid Rock Buys Home in Detroit! Heads-up, Detroit: It looks as if you’ve got a new Kid on the block. 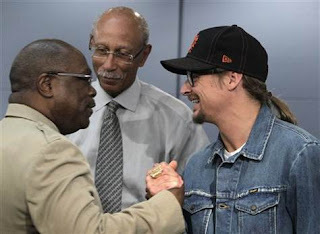 Neighbors say Michigan music star Kid Rock has purchased a house on the east side of Detroit, and they’re welcoming him with open arms. The 6,000-square-foot colonial-style home was sold earlier this year, said neighbor Tom Barrow, an accountant and onetime Detroit mayoral candidate. Barrow said his wife and children met the red-hatted Rock in the driveway earlier this month. Rock — raised Robert Ritchie in Romeo — has lived for more than a decade on a rustic property in Clarkston, where he also maintains a studio and some business operations. It’s not clear if the Detroit house will be a full- or part-time residence for the 40-year-old star. A spokesman for Rock was unavailable for comment late Thursday. Click HERE to read the rest of this article from The Detroit Free Press! Tonight! Metro Detroit's Finest Food Trucks at the Royal Oak Farmer's Market! 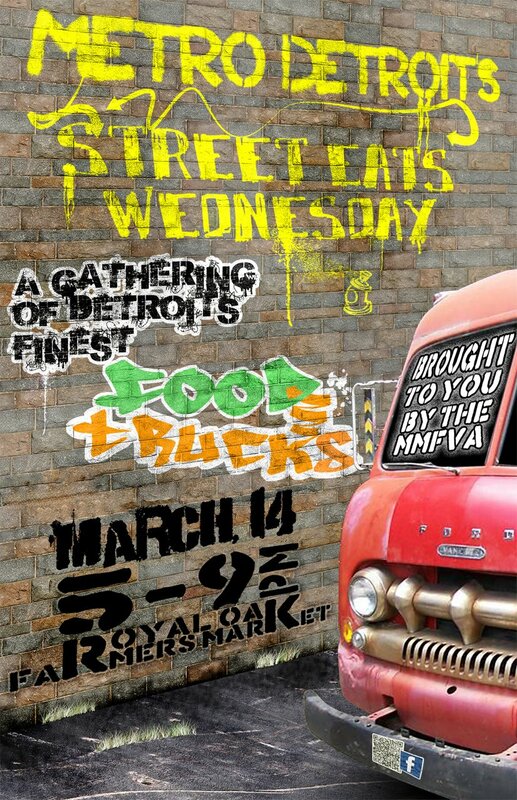 Metro Detroit’s Finest Food Trucks return to the Royal Oak Farmers Market tonight from 5 till 9 pm. The Reefermen once again will perform live. Due to the tremendous success from last month, the entire facility will be utilized, with more room, tables, seating. The trucks will have extra staff and food to accommodate more foodies. Come out and join the excitement- great live music and delicious flavors! Detroit Restaurant Week is set to return for spring 2012! Beginning Friday, April 20 through Sunday, April 29, metro Detroiters will once again be able to enjoy hearty three-course meals for just $28* per person. This year's spring edition of Detroit Restaurant Week will be the sixth time the promotion has been offered since the fall of 2009. The five previous promotions saw participation from almost 160,000 diners while generating millions in sales for the participating restaurants and area businesses. The restaurant menus, reservation information and a listing of after dinner activities will be available here soon. Your Official Guide To Detroit's Corktown St. Patrick's Day Events Starting This Friday! Céad míle fáilte romhat! That's Gaelic for "100,000 welcomes." It's also the motto of Detroit's Corktown St. Patrick's Day celebration. There are shamrocks, a parade, Irish food, Guinness (and other) beer, and a Mass at St. Patrick's. Here are details about this fun neighborhood and its signature festival. 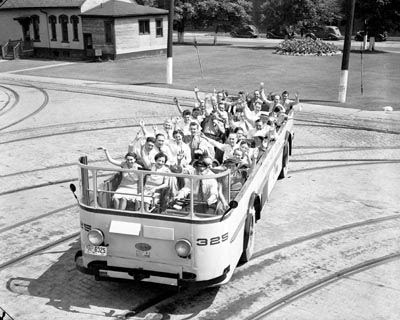 Detroit is Michigan's eldest city after Sault Ste. Marie, the oldest city in the U.S. Midwest, and Corktown is Detroit's oldest neighborhood. The National Park Service says that the Corktown Historical District, located south of Michigan Avenue and west of the Lodge Freeway (U.S. 10) dates back to the pre-Civil War 1830s. It takes its name from County Cork in Ireland and was founded by wealthier Irish immigrants from New York City. Some survivors of the Irish Potato Famine found Corktown a refuge, too. Corktown History and Redemption in Corktown are two blogs that chronicle the history and several home restoration projects in the Corktown neighborhood. On March 9, come for Painting of the Shamrocks at 11 a.m. This will take place at the Gaelic League at 2068 Michigan Ave., Detroit, and will proceed to Irish Plaza at Michigan Avenue and Sixth Street for a Press Party with the United Irish Societies officers, parade marshall, Maid of Erin, and Court of St. Brigid. They'll paint the traditional shamrocks for the parade route. From 5-8 p.m., there will be the Friday Lenten fish dinner ($8) at the Gaelic League hall. These dinners continue on through Lent. On Saturday, March 10th, there will be an pre-parade party at the Gaelic League from 8 p.m. to 1 a.m. The Gaelic League will host another pre-St. Patrick's Day party on Friday, March 16. Both feature live Irish music. Sunday, March 11, kicks off with Mass at St. Patrick's Church, 58 Parsons St., Detroit, at 10:30 a.m., followed by brunch. The annual Corktown race begins at 11:30 a.m. for kids, and the adult race starts noon. Proceeds go to fund several local Catholic and community charities. Following this, the St. Patrick's Day parade begins at 2 p.m. The parade runs up Michigan Avenue from Sixth Street to 14th Street and includes marching bands, pipe and drum bands, color guard units, floats, clowns, and novelty groups. A new initiative will help more Detroiters participate in the city’s growing social innovation movement by telling the stories of new leaders, and creating easy opportunities for people to learn about, take part in and lead local efforts. Whether they are young artists renewing homes in BanglaTown, or entrepreneurs building small businesses in Southwest Detroit, residents are helping to forge a new identity for the city. While Detroit is becoming recognized as a hub for social innovation, this emerging movement remains nascent and inaccessible to many locally. The Detroit “Urban Innovation Exchange,” launching March 28 at www.UIXDetroit.com, will report on these transformational, yet small-scale projects making a difference in Detroit, publish stories across a range of media outlets and foster a social network of innovators. Data will be collected and analyzed to determine what’s working in the way Detroiters are addressing local issues. Through online and offline forums, citizens will be able to learn and connect more productively with one another on social innovation. Issue Media Group is leading the unique partnership of participating media and community organizations, with $508,000 in support from the John S. and James L. Knight Foundation. “Detroiters are blending entrepreneurship, creative pursuit, and civic action in imaginative ways. But the growth and success of this social innovation movement is too often left to chance. The Urban Innovation Exchange will provide Detroiters the information, learning and networks needed to engage in the city as part of this movement,” said Rishi Jaitly, program director, Detroit, for Knight Foundation. Media partners involved who will help customize and publish the information include the Detroit Free Press, Huffington Post, Model D, New Michigan Media, DETROIT LIVES, Thrive Detroit and I Am Young Detroit. "I'm delighted that the Urban Innovation Exchange will be partnering with HuffPost Detroit to tell the story of transformation going on in Detroit at the moment,” said Arianna Huffington, president and editor-in-chief of the Huffington Post Media Group. "There's no better time than now to double down on our coverage of those who are rising to meet Detroit's many challenges. The Urban Innovation Exchange will help those stories reach even more people – not only those who live in Detroit, but all those who care deeply about this great city's future." All of the data and information captured as part of the program will be analyzed by Data Driven Detroit to study characteristics and trends about this small-scale movement. “This initiative represents an opportunity to better understand the little things and individual leaders that play an important role in our city’s future,” says Kurt Metzger, Data Driven Detroit Executive Director. Area home sales rose 9.6% in January. In the tri-county area, 4,002 homes were sold in January compared with 3,650 in January 2011, said Steve Bartley, whose company Advertising that Works in West Bloomfield collects the data from Wayne, Oakland and Macomb counties. The average sales price was $119,325 in January compared with $126,199 a year ago. BUT when purchases by banks or companies are excluded such as foreclosures, the average sales price in January rose 2.1% to $122,177. Sales rose 11.5% to 3,065 from 2,748 in January 2011. For January, Realcomp reported metro Detroit sales rose 7% for four counties -- Macomb, Oakland, Livingston and Wayne. It reported that 4,439 sales closed in January. And median sales prices, instead of the averages reported from the warranty deeds, rose 5.3% to $63,150 in January for those counties. Home to a burgeoning concentration of tech start-ups and incubators, Detroit's "Webward Avenue" is not just a street--it's also a movement. Can it transform Detroit? Crumbling cities aren't supposed to be this popular. For the most recent Startup Weekend in Detroit in mid-February, organizer Brandon Chesnutt cap attendance at 120, and still had people banging down his door. "We literally just ran out of space," Chesnutt says. "I can't go an hour without getting e-mail from somebody wanting to attend." The most popular Startup Weekend in the city's history took place inside the M@dison building, a modern five-story start-up Mecca that—as home to several VC firms and many of their portfolio companies—is part of the groundwork for a tech-centered rebirth of Detroit. The building is the brainchild of Dan Gilbert of Quicken Loans, who has been making it his crusade to reignite Detroit's downtown by buying property, seeding ventures, and moving thousands of Quicken employees into the area. The M@dison is located on a stretch of Woodward Avenue that is poised to become Detroit's own Silicon Alley: Gilbert has dubbed it "Webward Avenue" for its burgeoning concentration of tech businesses and incubators. And with the neighborhood's surge in restaurants, bars, and entertainment options, Webward just might become the movement that is key to transforming Detroit back into a great American city. "Regardless of what you call it, there is something really special happening," says Paul Glomski, CEO and co-founder of Detroit Labs, a year-old mobile app maker based in the M@dison. "A city that people consider down on its luck in terms of manufacturing, when you come here, you see a vibrant work force driven by innovation and technology. It's something that is exciting to be a part of." There's no doubt that Gilbert is leading the charge to spark the Webward Avenue movement: Not only is he encouraging downtown revitalization by buying up abandoned or under-used buildings to turn into office space, but he's also connected to several other major players in the neighborhood. He's a general partner in Detroit Venture Partners, the VC group seeding many of the hot prospects in the city. The M@dison is a $12-million renovation of a century-old building that alone contains a several start-ups that have begun to get some notoriety, including the tech newcomer Detroit Labs, which gained national notoriety for working with Chevrolet on a Super Bowl promotion. In contrast, there's Skidmore Studios, a 53-year old company that started as a Detroit illustration house, moved in to the building after a long exile in the suburbs, and the proximity to the action has already increased business enough to hire more employees. "If we were going to make a run at the city, we're going to do it downtown," president Tim Smith says. "Moving it back to its roots, where it started, was a big priority of mine. Emotionally, I think there was an uptick in our own personal pride being part of a creative resurgence." It must be considered that Webward Avenue isn't an entirely new phenomenon. The neighborhood has its own breed of anchors tenants, which have been laying the groundwork for the movement since the first dot-com boom. Compuware built its 1.1 million square-foot headquarters off the southern hub of Woodward Avenue in 2002. Last year, the company started C-Power Compuware Ventures to fund early-stage technology start-ups with a Michigan connection. According to Paul Czarnik, a Detroit native who is executive vice president and chief technology officer at Compuware and oversees the company's venture arm, one of the first pioneers to try to reclaim downtown was the Ilitch family. It owns the Detroit Red Wings, the Detroit Tigers, and Little Caesar's pizza chain, and which invested heavily in renovating buildings and venues downtown in the '80s and '90s. That ripple of renovation downtown seems to have lured big tech firms to start testing the waters. Compuware's move downtown was a monumental one. "When they made the decision, we were all kind of floored," Czarnik says. "It was not good times in the area we were moving to. It's been almost nine years and we love it." After Gilbert relocated 1,700 employees from Southfield into the Compuware building in 2010, he moved 1,500 Quicken employees into the renovated 14-story Chase Tower building on Woodward in October. The transformation of the area is changing the kinds of talent the city is drawing too: once considered a haven of engineers for its auto-industry connections, Detroit's scrappy vibe is tech-savvy drawing in college graduates who are looking for something fresher than in Chicago or New York. "A bunch of people that we have talked to are specifically interested in Detroit," says Reid Tatoris, one of the founders of Are You A Human, a game-based authentication system—like a CAPTCHA, but ostensibly fun—also based in the M@dison. "I'm really surprised by it. They've got a reason to try and take a risk and be here. It's really cool to see people from outside who have no ties say 'I want to be in Detroit.'" Maybe you've heard the joke about being able to buy a house in Detroit for the price of a VCR, but that's not the case around downtown: The residential occupancy rate is higher than 90 percent. Tatoris says he was stuck on seven different waiting lists for apartment complexes before he finally found a place to live. A few weekends ago, Glomski took his wife and 2-year-old to see Sesame Street Live at the Fox Theater. To get there, he parked in his office's parking lot, passed by Comerica Park, home of the Detroit Tigers, through Grand Circus Park, and through a corridor of restaurants, bars, and coffee shops, including old prohibition style speakeasies, live jazz clubs, and a coffee shop with music venue tucked away in the back. The area is starting to see the benchmarks of activity that define a creative hub, all which fight the notion that Detroit is economically hopeless. "People have shifted in their minds," Chesnutt says. "They love spending time—and more importantly, spending money—downtown." Pedestrian traffic has increased, and more hopeful signs emerge almost every day. "You are seeing buildings that are vacant and unoccupied for an awful long time that you know just got sold," Smith says. 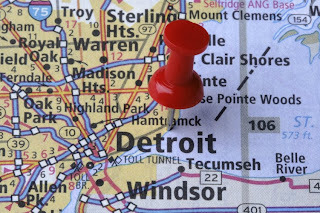 Entrepreneurs use words like "discoverable," "unlocking," and "scavenger hunt" when describing the best parts of Detroit, which is to say a casual visitor is not as likely to just stumble across something amazing or eye-catching the same way one might while walking down a busy street in New York City. "There is a lot down here, but it's not as visible," says Nathan Hughes, co-founder of Detroit Labs. But the things that are happening give Detroiters with the feeling that the city is discovering a brand new identity. "We Felt a Renewed Energy." Clumping together in the start-up zone of Webward Avenue means two things to Detroit's entrepreneurs: For one, business is easier to do when you can just pop a few doors over to talk to your graphic designer or engineer. "There's a lot going on, but it's distributed through miles and miles of suburbs. There's an energy you can't take advantage of when every one of your clients is separated by 20 or 30 miles of driving," Hughes says. "One of the founding principles was to get everyone together. That's not something that necessarily exists normally in Detroit." But perhaps more crucially, it also means when you're circling the wagons around the center of what is supposed to be a dying American city, you find yourself with a lot more ammo to fight your way out. "Emotionally, I think there was an uptick in our own personal pride being part of a creative resurgence," Smith says of relocating onto the Avenue. "Everyone upped their game a little bit. We felt a renewed energy. The work we were doing six months ago that was great got better. The days of hanging our head and being ashamed of where we live are over. We're not going to be the punch line any more. We're going to lead that charge back." Chesnutt says Detroit is catching up to other cities, where start-up energy feeds off itself in bars and social events, on and off the clock. "Entrepreneurial density and getting everyone in the same spot, that's what leads to success," he says. You can already see that sense of combatants-in-arms in the popularity of events such as Startup Weekend and tours of the M@dison building, which have drawn capacity crowds. The attendees may be competitors in the business world, but they say their uniting goal is to pick the city up, dust it off and push it back into the ring. Josh Linkner, a serial entrepreneur who works with Gilbert on Detroit Venture Partners, was born in Detroit in 1970, when the popular conception about the city was already that it was becoming a "wasteland." His parents moved the family to the suburbs shortly after. "I'm going to be telling my grandkids about this five-year stretch when Detroit got back its mojo," Linkner says. "I don't think social transformation and profit are mutually exclusive. Our philosophy is that you can do well and do good simultaneously." Click HERE to read the rest of this article by Tim Donnelly on Inc.! The U.S. auto industry, led by Chrysler Group LLC, reported a second consecutive month of robust sales, suggesting the U.S. economy is continuing to pick up steam. Auto makers predicted the annualized new-vehicle sales pace for February will once again surpass 14 million cars and light trucks as it did in January. It would be the first time the industry has seen back-to-back months at that level since April and May of 2008. Chrysler, which is majority-owned by Fiat SpA of Italy, reported its sales rose 40% in February to 133,521 vehicles. Its truck sales rose 21% from a year earlier, while car sales more than doubled. Ford Motor Co. weighed in with a 14% rise, to 178,644 cars and light trucks, with its Ford brand recording a 14% jump and its Lincoln luxury brand a 16% increase. Sales of the Ford Focus compact doubled. Sales at General Motors Co. increased 1%, to 209,306 vehicles. Sales of its Chevrolet brand rose 5.8%, helped by its Sonic and Cruze small cars. But GM also saw declines by its Buick and Cadillac divisions. GM said its inventory at U.S. dealers at month’s end stood at 667,096 units, up 7.7% from January. Click HERE to read the rest of this article on The Wall Street Journal! Vacancy is set to decline in Detroit Rock City as the United Auto Workers recently struck a deal with the Big Three that will create 14,000 new jobs through 2014. 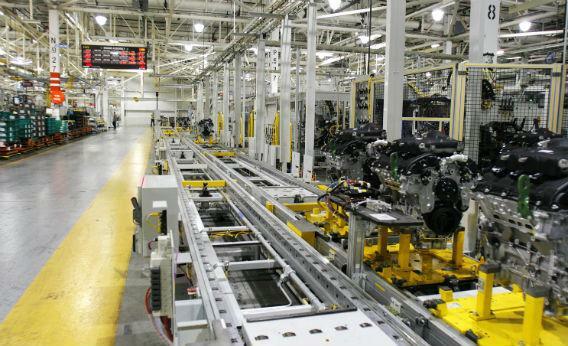 The deal includes $13 million worth of investments in products and infrastructure and will increase the rate of pay for most assembly-line workers, this according to the Detroit Free Press. It's been called a start-up renaissance. 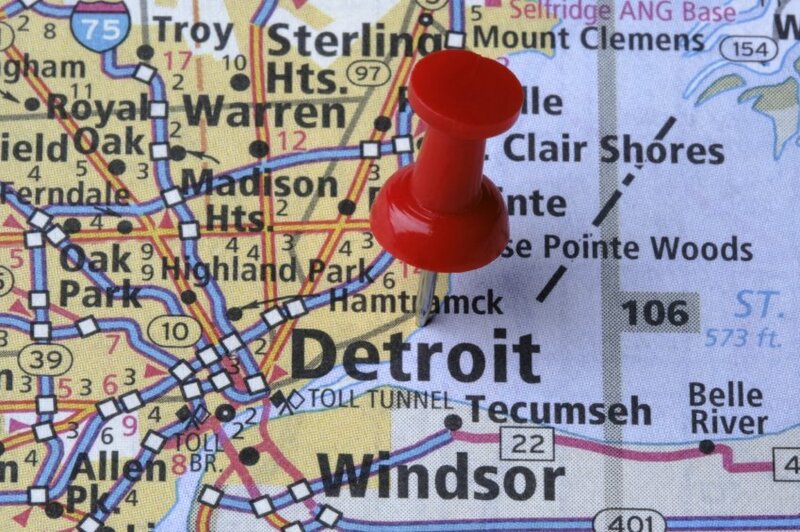 Detroit is increasingly flush with young companies, including a few gaining national notoriety, such as year-old Detroit Labs, of Super Bowl fame, and HiredMyWay, a two-year-old online recruiting service that's now expanding nationwide. 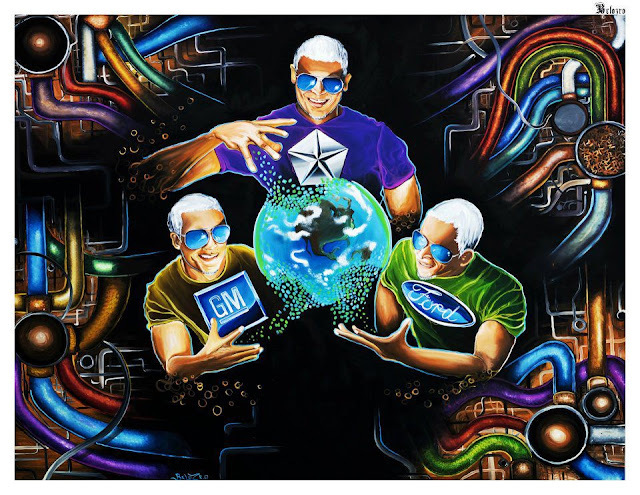 What's more: Venture capital—once virtually nonexistent in Motor City—has set up shop, too. There are well-known firms, such as Detroit Venture Partners, which counts entrepreneurial celebrities Josh Linker and Dan Gilbert on its team, to smaller seed-stage firms, such as 313 Ventures. A patent office is even on its way in. In other words, it's a buzzing entrepreneurial ecosystem. "What's really prompting a lot of this growth is our huge pool of talent here," says Jake Cohen, vice president of Detroit Venture Partners. But where exactly is this talent coming from? Detroit is far from being celebrated for its traditional education (a recent report found that nearly half of the adults in the city are functionally illiterate), but people knee-deep in this new economy will tell you that the foundation of Detroit's comeback is its growing entrepreneurial education system—a tapestry of universities, incubators, and competitions that foster growth and produce new talent in several industries. "Over the past decade or so, we've built an incredibly efficient ecosystem to help entrepreneurs get off their feet. There's education and support for nearly every stage of a company," says Tina Bissell, business manager at the Michigan Initiative for Innovation & Entrepreneurship, which aims to foster entrepreneurship in public universities. "If we want this boom to continue, it boils down to making education a priority." Click HERE to read the rest of this article by Nicole Carter on Inc.! Veronika Scott is 22 years old and the Founder of The Empowerment Plan, a nonprofit that hires Detroit’s homeless women to make coats for the homeless. I met Veronika in August 2011 when she spoke at the event my company powered at the United Nations – The International Year of Youth Culmination Celebration. Veronika wowed hundreds of girls and women who were joining together at the UN to create a global force of positive change. She stood at the UN podium and began telling her story: I started off with a college assignment in early 2010 to design and fulfill a need… I live in Detroit… there are 36,000 homeless individuals and 64,000 abandoned buildings… I didn’t need to look very far to find others with greater needs than my own. Veronika graduated from the College of Creative Studies in Detroit and the next day she flew from Detroit to New York to join me at the Forbes Gallery to share her intimate and passionate story about how she started her company, what motivates her, her mistakes and successes. She’s an amazing young woman who is truly changing the world. Click HERE to read the rest of this story by Denise Restauri on Forbes!